Winnie Mandela was a female South African activist who fought against Apartheid, together with her husband, South Africa's first black president, Nelson Mandela. She died at the age of 81 in her home in Soweto, Johannesburg after a long illness. Winnie Madikizela-Mandela was born in 1936 in the Eastern Cape province, which at that time was the homeland of Transkei. In her early life, she was a social worker in a hospital. In the 1950s she met Nelson and married him in 1958. When her husband was imprisoned in 1963 it was Winnie who led the movement against Apartheid. For over two and a half decades she campaigned for his release. During this period Winnie Mandela was her husband's link to the outside world. Winnie was a prominent member of the African National Congress and the head of its Women's League. When Nelson Mandela was released from Robben Island, it was the "Mother of the Nation", as she was often called, who marched with him to freedom. Shortly afterwards, the couple separated and divorced in 1996, two years after Nelson Mandela had become South Africa's first black president. 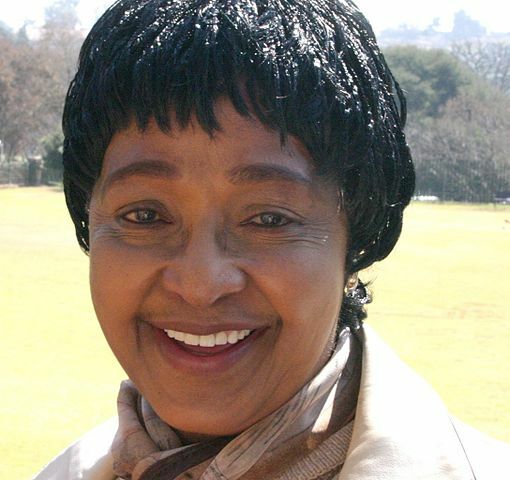 Winnie Mandela continued her political career and became a deputy minister in the first post-Apartheid government. She was a member of parliament for several years. However, Winnie was also a controversial figure and involved in many scandals. During the final years of Apartheid, she was accused of violence and blamed for killing and kidnapping informers in Soweto. She was sentenced to six years in prison, which was later turned into a fine. After her death on 2 April 2018, politicians and human rights activists from all over the world praised South Africa's most famous woman. Former Archbishop Desmond Tutu admired her as a revolutionary figure in his country's history. The African National Congress said that the party had lost an icon. African National Congress = political group that fought for the rights of black people in South Africa. It's most famous leader was Nelson Mandela.